Woodbury #1 Water Damage Restoration Service. While a little bit of water entering your home or commercial space might seem innocuous, water damage can do more damage to your property and health than you might think. Learn more about water damage and why you should count on Allure Carpet Cleaning for the best water damage restoration in Woodbury. How Should You Address Water Damage? It’s important to address water damage as quickly as possible. If you leave water in your home, the infrastructure of your house, apartment, or commercial space could be damaged, and this moisture could also harm the occupants of your building. Mold can start growing within 48 hours of water entering your space, and the appearance of mold can accelerate the destruction of property that water damage causes. Keep in mind that the cleanliness of the water that entered your home or business makes a difference in the damage caused; the Institute of Inspection, Cleaning, and Restoration Certification (IICRC) separates water damage into three categories, and if your space has suffered from Category 3 water damage, you’ll need to address this issue immediately to avoid putting the health of your workers or the inhabitants of your home in jeopardy. During the winter, pipes can crack or burst. This phenomenon is especially common in basements and other areas that aren’t usually heated, but water damage that starts in one area of your property can quickly spread to other parts of your home or business. Hot water tanks can leak, toilets can overflow, washing machine hoses can break, and sump pumps can fail. Appliance failure is an unfortunately common cause of water damage in both homes and businesses. Nature can cause water damage in your home at any point throughout the year. Summer storms can cause water to leak into your basement, autumn rains can cause leaks in your roof, and ice dams in the winter pose a serious threat to the integrity of your roof and the rest of your home or business. When you work with us at Allure Carpet Cleaning, we can address your water damage at any time of day or night. Our experienced water damage restoration technicians are fully certified by the IIRC and the Restoration Sciences Academy (RSA), and they know exactly how to get water out of your space quickly and thoroughly to ensure that no one comes to harm. 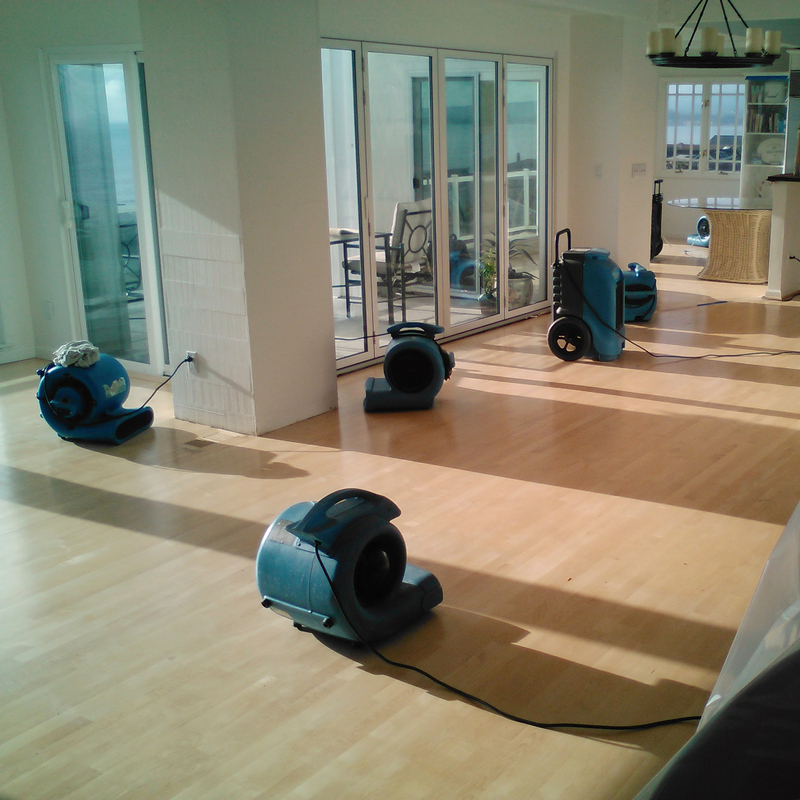 We only use environmentally-friendly techniques to remove water from your space and perform our other services, so reach out to us at (516) 591-3321 today to schedule an appointment or learn more about our water damage restoration services in Woodbury.